The proposed policy changes were precipitated by a recent $20 million (about £12.9m, AU$22m) settlement over complaints that Facebook users' names, photos and personal info were used in ads without their permission. 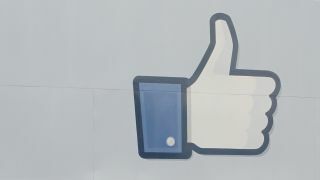 Consumer watchdog groups say the proposed updates would make it easier for Facebook to do so in the future, and they've petitioned the FTC to block the social network's plans. The FTC has been silent so far, but Facebook says the updates change nothing and simply clarify the policy that's been in place all along. It appears that the new policy makes it more difficult than ever for users to opt out as well, and states that parents and guardians of users under 18 consent by default. Facebook says that's what the policy's always been, and it's just the language that's changing now. Nevertheless, it delayed the adoption of the new policy so that it can take users' feedback into account. "We are taking the time to ensure that user comments are reviewed and taken into consideration to determine whether further updates are necessary and we expect to finalize the process in the coming week," the social network said in a statement. We contacted Facebook to get their full take on the situation, and a spokesperson said that this isn't technically a delay. The Facebook rep said that users had until Sept. 5 to submit feedback, and that Facebook is now reviewing that feedback as planned. Friends Becoming Informants: How your friends are spilling your secrets to Facebook.